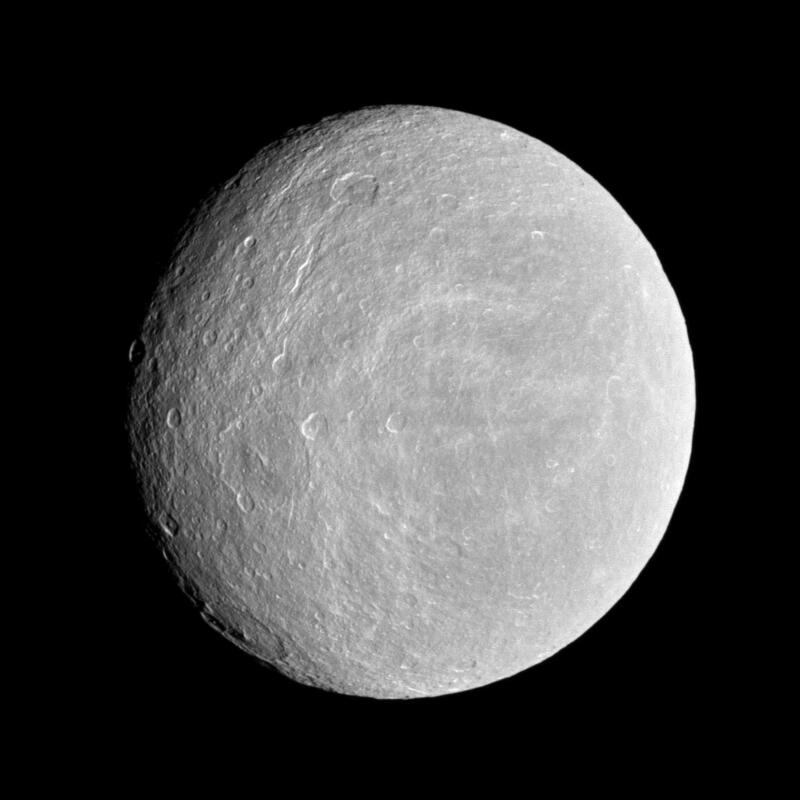 The Cassini spacecraft looks toward the cratered plains of the trailing hemisphere of Rhea. 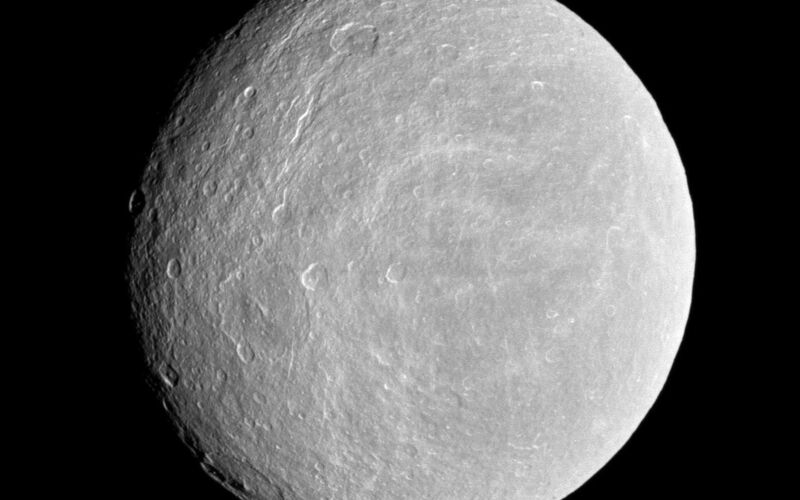 Some of the moon's fractures, appearing like wispy bright lines, can be seen on the left of the image. Rhea's north pole is up and rotated 3 degrees to the right. The moon is 1,528 kilometers (949 miles) across. 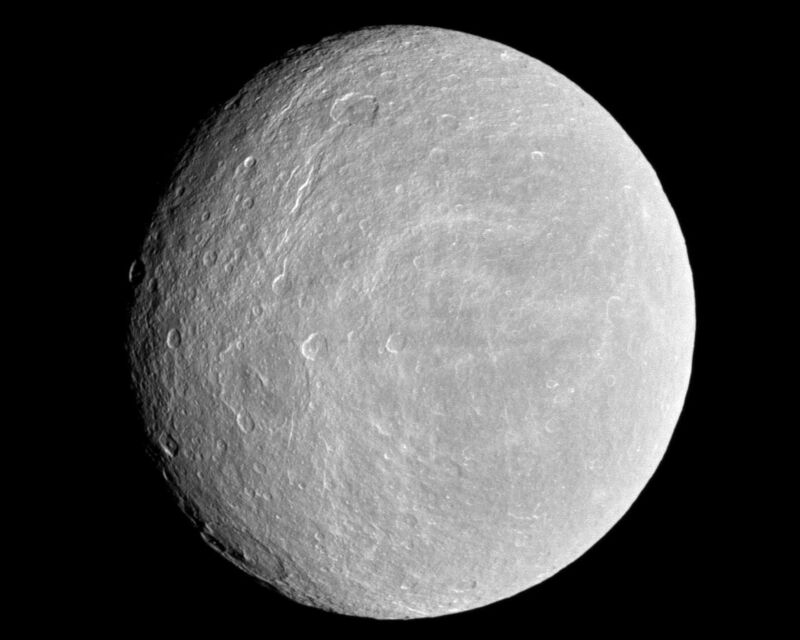 The image was taken in visible light with the Cassini spacecraft wide-angle camera on Nov. 21, 2009. 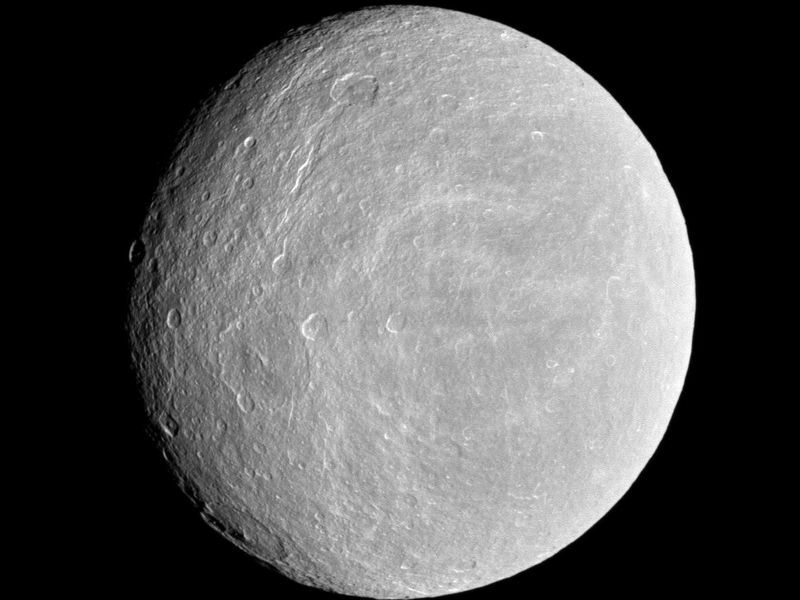 The view was obtained at a distance of approximately 30,000 kilometers (19,000 miles) from Rhea and at a Sun-Rhea-spacecraft, or phase, angle of 27 degrees. Image scale is 2 kilometers (1 mile) per pixel.